The main innovations can be seen on the body' front, which now has a chrome lining in the middle of the fog lights, plus in the headlights, there are brand new LED lamps with turn signals. The radiator turned out more smooth in shape. The back of the similarly got a chrome lining and LEDs inside the lanterns. More wheels will appear in the new design. The salon has changed minimally: there are other air duct deflectors, an 8.0-inch sensor, Apple CarPlay systems with Android Auto, etc. 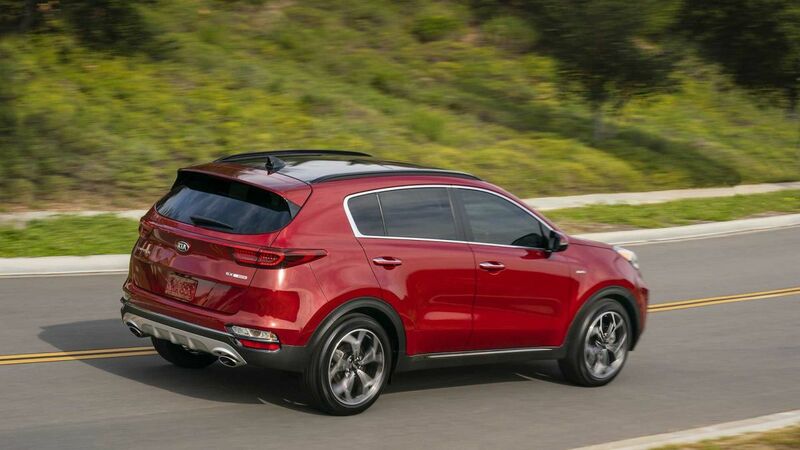 Sportage 2020 m. a 2.4-liter, naturally aspirated, 181-horsepower engine, as well as a 2.0-liter 4-cylinder turbo engine with 240 hp. The drive will be front-wheel or four-wheel.